Playwright, screenwriter (a person who writes scripts for movies), and director David Mamet is known for his accurate use of American vernacular (the normal spoken form of a language), through which he explores the relationship between language and behavior. David Alan Mamet was born in Chicago, Illinois, on November 30, 1947, the only son of Bernard and Leonore Mamet (they also had a younger daughter). His father was a labor lawyer who loved to argue and taught his children how to listen, question things, and express themselves as precisely as possible. Mamet spent many afternoons in his father's office, making phone calls and typing letters on the typewriter. Mamet's parents' high standards and their divorce when he was eleven made his childhood an unhappy one. He was very close to his sister, however. At fifteen he started working at the Hull House Theatre and discovered his life's direction. He went on to study literature and theater at Goddard College in Vermont (receiving a bachelor's degree in 1969) and acting at the Neighborhood Playhouse School of Theater in New York. 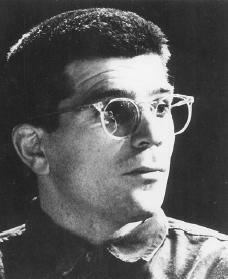 In 1971 Mamet began teaching drama at Goddard and wrote several plays. His first play to receive attention, The Duck Variations (1972), displays features found in much of his work: a fixed setting, few characters, a simple plot, and dialogue that captures the rhythms of everyday speech. Sexual Perversity in Chicago (1974) (later adapted for film as About Last Night.… ) examines relationships between men and women. American Buffalo (1975), for which Mamet received the New York Drama Critics Circle Award, is set in a junk shop and deals with the efforts of three men trying to steal a valuable coin. The main character of The Water Engine: An American Fable (1977) creates a new engine but is murdered when he refuses to sell his invention for profit. Other plays from this period include A Life in the Theatre, The Woods, Reunion, and Dark Pony (all 1977), as well as The Sanctity of Marriage (1979). Glengarry Glen Ross (1982), Mamet's most praised work, is the story of four Florida real estate agents competing to become their company's top salesperson by trying to cheat unsuspecting customers. The play was awarded both the New York Drama Critics Circle Award and the Pulitzer Prize in drama. Edmond (1982) involves a businessman who leaves his wife and wanders into a run-down area of New York City. After being beaten and robbed, he turns to violence and is imprisoned for murdering a waitress. Prairie du chien (1985) and The Shawl (1985) are companion pieces. The first play centers on an unusual murder, while the second concerns a psychic's efforts to obtain a client's inheritance. Speed-the-Plow (1988), in which pop singer Madonna (1958–) made her first performance on Broadway, is the story of a close male friendship that is threatened by the arrival of a strange woman. Mamet has also written several screenplays (scripts for movies). The first, The Postman Always Rings Twice (1981), is generally considered his least successful effort. In The Verdict (1982), based on Barry Reed's novel Verdict (1980), an alcoholic lawyer battles injustice to win a lawsuit for a woman who suffered brain damage during childbirth. Reviewers praised Mamet's dialogue, and the screenplay was nominated (put forward for consideration) for an Academy Award. He also made his first effort at directing with the 1987 film House of Games (for which he also wrote the screenplay), about a doctor's involvement with a con man. Restaurants and Some Freaks. Both books are packed with Mamet's opinions on a variety of topics such as friendship, religion, politics, morals, society, and of course, the American theater. Mamet has also taught at The Yale Drama School and New York University. He often lectures to classes at the Atlantic Theater Company, and he was one of the company's founding members. Mamet continues to direct films and write plays, essays, and screenplays. His recent film works include the 1994 film version of his play Oleanna (which was first produced on stage in 1992), The Winslow Boy (1999), State and Main (2000), and Heist (2001). In 1999 he wrote a book of essays, Jafsie and John Henry. Wilson: A Consideration of the Sources, a novel, was released in 2001. Mamet married actress Rebecca Pidgeon in 1991. They have two children. He also has two children from his first marriage to actress Lindsay Crouse. Bigsby, C. W. E. David Mamet. London: Methuen, 1985. Carroll, Dennis. David Mamet. New York: St. Martin's, 1987. Heilpern, John. How Good Is David Mamet, Anyway? New York: Routledge, 2000. King, Kimball. Ten Modern American Playwrights. New York: Garland, 1982. Mamet, David. On Directing Film. New York: Viking, 1991.